Such is my tardiness in publishing this post, that our trip to the Lake District feels like it happened many, many moons ago!! Ugh, what I wouldn't give to be back there now, kicking off my cosy boots after a long day and running a bath in our lovely cottage. It really was some of the most beautiful weather I've ever experienced in the Lakes. A lot of people love to go in the Summer, but that's just not for me. I'm all about a near-desperation to warm yourself in the closest pub, and not being able to stop walking in order to eat your sandwich because your extremities will never quite recover. That's how it should be done in my book. And that is how we did it! Whilst I was there, I invested in a pair of Tivoli II boots from Sorel. For non-walking days I had brought my Uggs with me, but as I'm sure we have all learned the hard way, Uggs are no-ones friend when there is even a tiny chance that they come into contact with moisture. My Sorels came to the rescue - completely waterproof and the warmest boots in the world. They look pretty darn cool on too! We stayed with Heart of the Lakes at Cobblestones cottage in Clappersgate (just outside Ambleside). I cannot recommend it enough - everything was perfect. Ah the most wonderful time of the year has arrived - when my obsessive collage making really comes into its own. The Christmas and Birthday gift wish-list. Breathe it in people. Now - I know Christmas is not really about the presents - and I promise I looking forward to plenty besides the gifts, but a gal can dream, so let me have my moment. This is basically a montage of all things lovely that I think anyone (ME) would be pretty darn stoked to received. As you will definitely have gathered by now, I love beautiful PJs, and these ones from Topshop are divine. Christmas isn't Christmas without a new set! I may have asked for both the shorts and the trousers to maximise wearability. And who wouldn't love a cosy new pair of slippers to go with said PJs. For the days when silk isn't on the cards, a fresh pair of nubby joggers like these ones from Topshop would be grand. As well as enjoying sequin drop earrings (courtesy of J.Crew) and pretty party heels (thank you LK Bennett), lately I also like to use Christmas and my Birthday to look ahead to the Summer - (that's where this tassle dress and printed espadrilles, both by Isabel Marant, come in). These colourful Fendi sunglasses would be fabulous come the warmer months, but will also cheer up our current grey days. Sunglasses are not just for Summer. 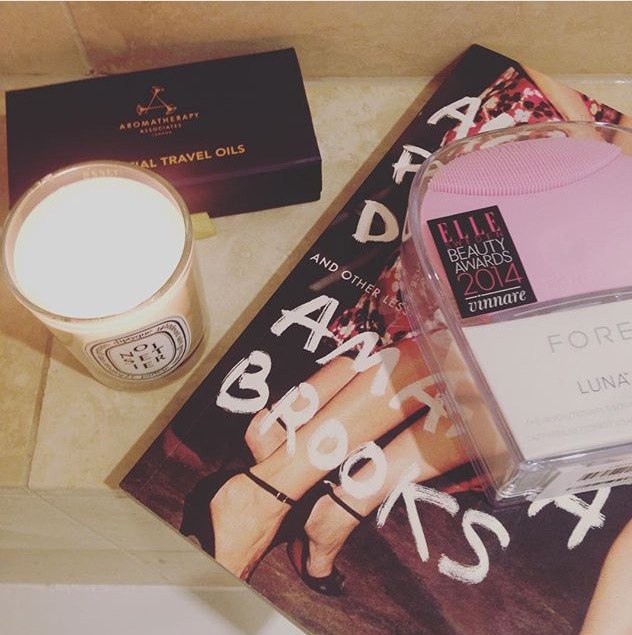 Beauty and lifestyle gifts are always joyous and you just can't go wrong with Garance Dore and Amanda Brooks' new books. Perfect for the coffee table and to curl up with in the New Year. Diptyque, Aesop, Smythson and By Terry staples will also always be welcome. I try my best to look after my skin (sometimes it can be a rather wild and untameable beast). This 2016 I'd like to take it up a notch by taking a trip to Sarah Chapman's Skinesis clinic - it would be a dream to find a few vouchers under the tree. It's a wildcard entry, I'll give you that, but ever since reading The I newspaper on a recent flight I've been hankering after a subscription. I hope you're all enjoying the fun and festivities! 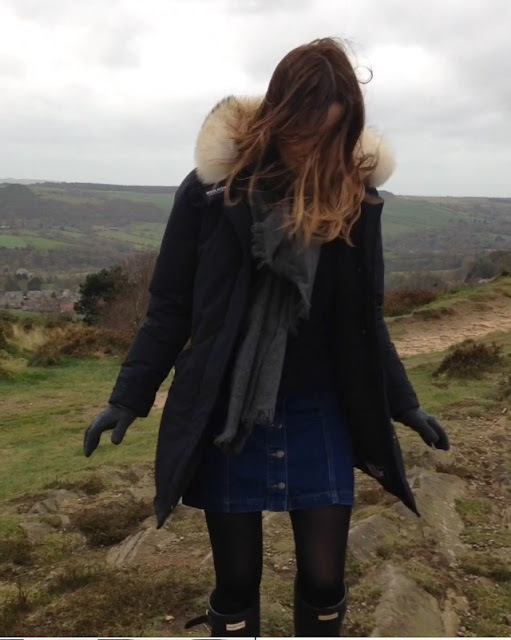 Last weekend we popped up to the Peak District for a celebratory weekend away. I cannot recommend our cottage enough. We stayed at The Old Stables in Ashover which had the best large, open-plan layout so that everyone could gather together. The roll top bath adjoining our bedroom was a also personal highlight! You can find all the details for The Old Stables here. It truly surpassed all our expectations. 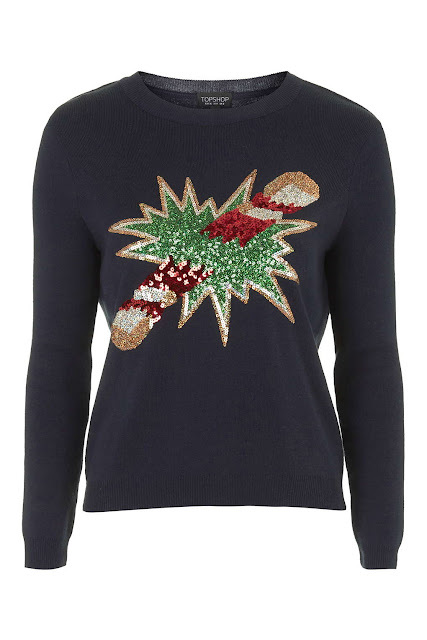 Ah Christmas jumpers - that tricky knitted territory that rises up to greet us but once a year. You're drawn to the kitsch but would ideally like something you can wear more than once and might even have a life span that outlives the contents of the Quality Streets tin. Here are four that have caught my eye for the upcoming festivities. 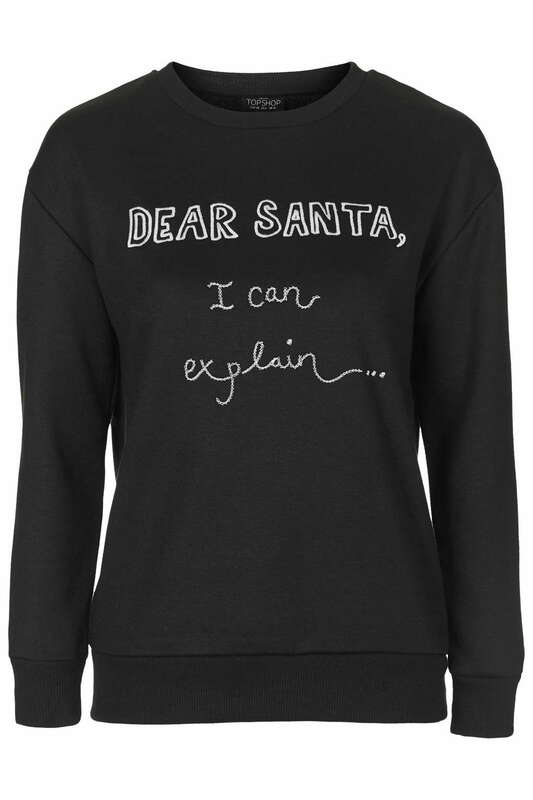 The ultimate Christmas jumper for now and also for ever more - Bella Freud x Kate Moss. Be still my beating heart. Available from Matches. Bella Freud on a budget courtesy of Topshop. Don't be put off by the 'petite' sizing - this is just the right fit for non-petite folk too. Cheap, cheerful and appropriately cheeky. I love a navy crew neck and this would be the perfect Christmas addition - give into the sequins! Another gem from Topshop. A few snapshots from our recent weekend break to Bologna. It was such a lovely, indulgent weekend. Bologna really is a food lover's paradise and certainly lives up to its nickname - 'La Grasse' (the fat one)! My top recommendation on the food front would be supper at Osteria Dell'Orsa. You sit like sardines on communal tables, quite literally rubbing shoulders with the locals whilst being served your pasta in plastic bowls. They restaurant is known for their bolognese ragu and it was IN-credible. The best I have ever had, and all for six euros a bowl. We also had the best evening amaretto sours at Le Stanze, after enjoying their delicious aperitivo earlier in the evening. 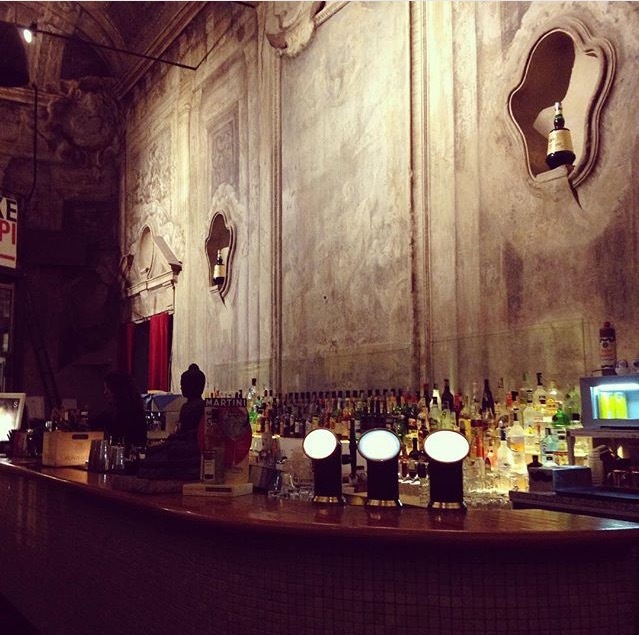 Le Stanze is a beautiful bar painted with frescos high up on the ceilings. After ordering your drinks, for one euro extra you can take your pick of the cheeses, cured meets and grilled vegetables lining the bar. Get comfortable - you'll be there for a while. 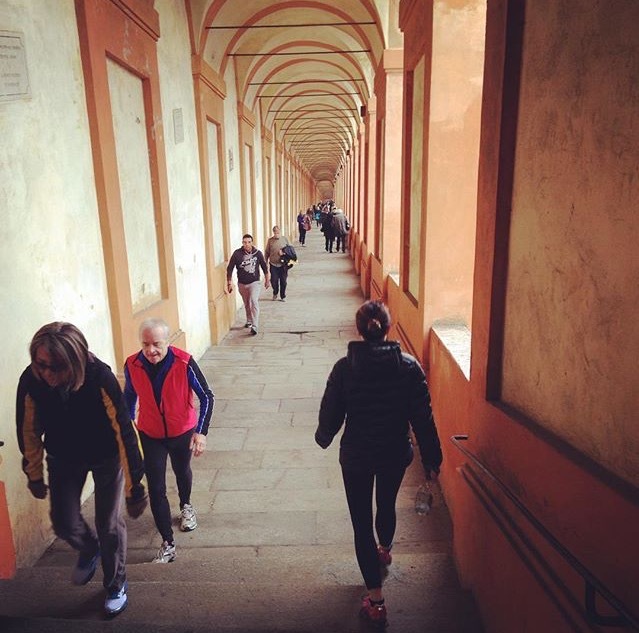 Another of my favourite things we did over the weekend was wake up on Sunday morning and head over to the Portico di San Luca to join all the power walkers and joggers walking the longest continuous portico in the world. All 666 arches leading to beautiful views of the city at the top. Let's face it - you need all 666 to prepare you for the barrels of prosecco and whole hams and cheeses you'l be consuming later! I had said that this year I didn't need a single new coat - I was supposedly all sorted from last Autumn Winter. A cape and a car coat later - and that brief moment of frugality went stupendously well don't you think? But what can I say - I love my new Topshop coat. It's so snuggly - the faux shearling (unlike so many other coats like this) runs throughout rather than just on the trim. It is such a cosy coat for the weekend. 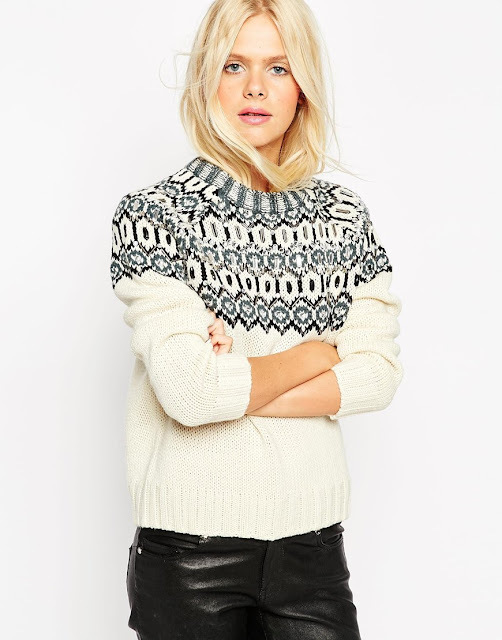 Just imagine it with a chunky cream aran knit or over a denim dress. A word of warning though - I wouldn't attempt to don it over a dark knit - girlfriend has a tendency to leave white fluff all over the darker fabrics! I took it for its first outing this Sunday (our first truly autumnal day in London) for falafel at the farmers' market. It was perfection. Topshop Faux Shearling Car Coat - available here. Well it certainly has been a while since my last post! A smaaaall hiatus of approximately 12 months. As is always the way, life somehow took over. But in recent months I've been missing the blog and I think it is time to focus upon its resurrection! What better way to embark upon its return that with something I am currently crushing on humongously: Desmond & Dempsey pyjamas. I have a bit of a thing about pyjamas and am already earmarking multiple pairs in the run up to Christmas (I have a feeling that I may need to welcome a pair of Desmond & Dempseys a little bit sooner, however). They'd be perfect to pack for a few upcoming weekends in the country with friends, and just for general joyous lounging at home of course. I just love how a classic PJ can make you feel that bit more pulled together and happy to face both the early and lazy mornings, or settle down for the evening in style.